Pushcart prize winner Jill McDonough’s books of poems include Habeas Corpus (Salt, 2008), Oh, James! (Seven Kitchens, 2012), and Where You Live (Salt, 2012). The recipient of fellowships from the National Endowment for the Arts, the Fine Arts Work Center, the New York Public Library, the Library of Congress, and Stanford’s Stegner program, she taught incarcerated college students through Boston University’s Prison Education Program for thirteen years. Her work appears in Slate, The Nation, The Threepenny Review, and Best American Poetry 2011. 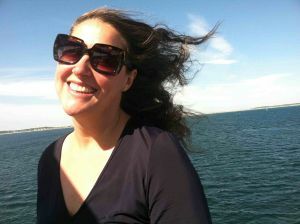 She teaches poetry at UMass-Boston and directs 24PearlStreet, the online writing program at the Fine Arts Work Center.